In 1855, Chateau d'Yquem was the one estate in Bordeaux deemed to deserve its own classification transcending the 'Premiere Grand Cru Classé' to 'Premiere Grand Cru Classé Superior'. For nearly three centuries it has been widely considered the greatest sweet wine on the planet – the tsars of Russia had it bottled in crystal decanters – Thomas Jefferson spoke openly of its ethereal qualities – even Hannibal Lector enjoyed the odd tipple. Following the long reign of the Lur-Saluces family, the majority share of the estate was purchased by LVMH in 1996, Alexandre Lur-Saluces remained in charge until 2004 when Pierre Lurton was placed at the helm. 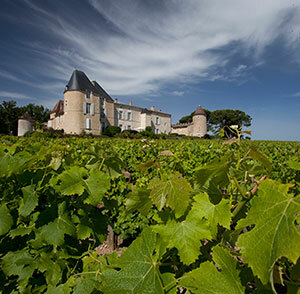 With an average yield of 9 hl/ha (one glass per vine), d'Yquem is one of the most rigorously selected wines in Bordeaux.